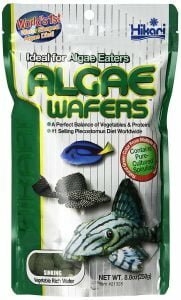 These algae wafers are the perfect nutrition for the bottom feeder fishes of all kinds. The food is concentrated to the density to be able to sink quickly to the bottom of the tank. It has 2 in 1 concentration of food types which enhances food craving. The wafers do not affect the coloring of the water and are made with clear H2O formula to keep the tank clean always. If you want a complete diet for the bottom feeders for your fish tank this is the one you should opt for. This one is made with the perfect balance between vegetables and proteins. It enhances the diet endurance of the fishes along with good digestibility. The food works pretty well in improving the digestion and overall protein absorption of the bottom feeders. The wafers sink quickly to the bottom of the tank to avoid any consumption from the top swimmers almost. It is one of the cheapest healthy foods you can get in the market anywhere too. 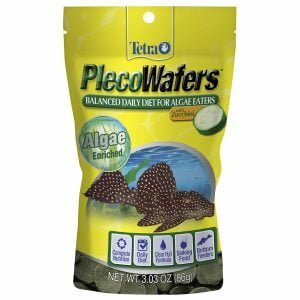 This is the younger sibling of the Tetra veggie algae wafers. But, the best part is that they are better in their own way unlike any other product in the market. To provide a balanced diet to your bottom feeders of all kind, this is the one to go for. Algae eaters evidently prefer these wafers more than these because of the added ingredient zucchini. It is also the cheapest one in its category. The food wafers do not pollute the color of the water and maintain a clear vision throughout. 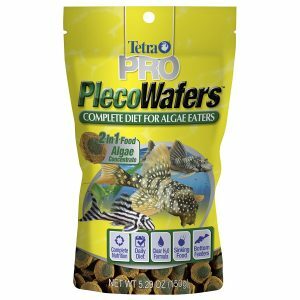 These wafers are designed to feed the hard to eat plecostomus and other algae bottom feeders. Hikari is the first one to design the algae wafers and is on the top of the chain ever since. Though, this diet is copied by many, the formula they use is not copied by anyone successfully yet. They are not cheap in the cost but whoever uses it never turns towards any other product either. The cost is clearly the goodwill of the formula origin of the company and people seem to be praising the elder ownership of their product too. 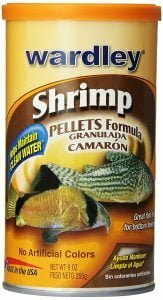 These pellets are the multi-purpose food products for both the bottom feeders and a huge variety of the tropical fish. They are the favourite diet of the catfish plecostomus and loaches. The pellet size is big enough to be a good diet for the Oscar fish as well as other cichlids. The food exclusively includes shrimps which are the most preferred food for the bottom feeders. The pellets contain Vitamin C to ensure the color of the fishes is vibrant. There is no artificial coloring to the food and no harm to the water at all.